Trump Pulling Troops From Syria; Might Afghanistan Be Next? Before other officials confirmed the withdrawal decision, Trump tweeted, "We have defeated ISIS in Syria, my only reason for being there during the Trump Presidency." 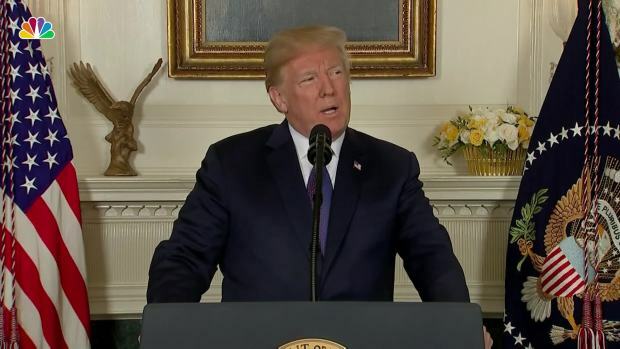 The aspect of this that he did not address is whether the extremists or others will fill the security vacuum created by the U.S. withdrawal to regroup and pose a new threat. The administration said it intends to continue combatting Islamic State extremists globally and could return to Syria if necessary. Still, critics launched a barrage of questions about the implications of Trump's decision, including whether it opens the door for Turkish forces to attack the Syrian Kurds who had partnered with the U.S.
Sen. Lindsay Graham, a South Carolina Republican and typically a Trump supporter, said he was "blindsided" by the decision and called it "a disaster in the making." He said, "The biggest winners in this are ISIS and Iran." Republican Sen. Marco Rubio of Florida said the withdrawal would be a "grave error with broader implications" beyond the fight against IS. He called it "one more example of how the United States is not a reliable partner."